BEAT AROUND THE BUSH: (phr. verb) to be very INDIRECT, to not say exactly what you want. Do you know anyone who BEATS AROUND THE BUSH? Tell us below! GOT IT MADE (phr adj): Someone who has got it made is so happy and successful in life that they have no worries. With a happy family life, a new house and a super job, Sam’s GOT IT MADE. TO MAKE A COMEBACK (phr. verb): To become successful or popular AGAIN after a period of being unsuccessful or unpopular. Tiger Woods is doing his best TO MAKE A COMEBACK after taking time off to deal with his personal problems. 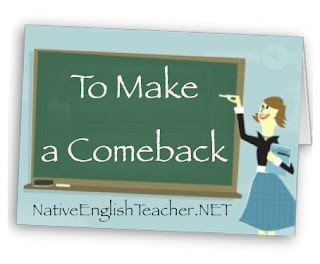 Tell us about a time when you MADE A COMEBACK below! IN YOUR BIRTHDAY SUIT (phr. adj): Naked, wearing the “clothes” you were born in. He likes to go swimming IN HIS BIRTHDAY SUIT – he’s a real hippy. GET OVER IT (phr. 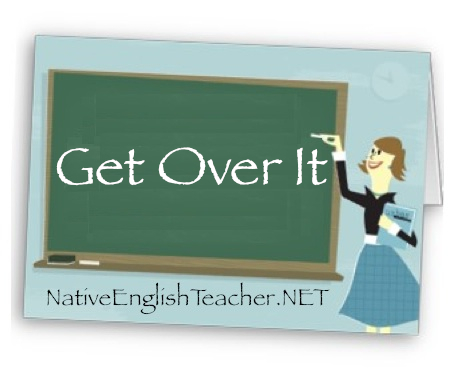 verb): To stop caring about something, To move beyond something that is bothering you. Do you need to GET OVER SOMETHING? Tell us Below! PLAY IT BY EAR (phr. verb): to have no plan, to decide your actions as you go, depending on the situation. 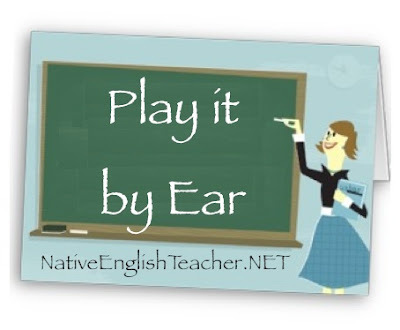 Do you prefer to PLAY IT BY EAR or make plans? Tell us below!